Casaseca-de-la-Higuera, P., A. Tristán-Vega, C. Hoyos-Barceló, S. Merino-Caviedes, Q. Wang, C. Luo, X. Wang, and Z. Wang, "Compressed UAV sensing for flood monitoring by solving the continuous travelling salesman problem over hyperspectral maps", Remote Sensing of the Ocean, Sea Ice, Coastal Waters, and Large Water Regions 2018: International Society for Optics and Photonics, 2018. Aja-Fernández, S., V. Brion, and A. Tristán-Vega, "Effective noise estimation and filtering from correlated multiple-coil MR data", Magnetic resonance imaging, vol. 31, no. 2: Elsevier, pp. 272–285, 2013. García-Pérez, V., A. Tristán-Vega, S. Aja-Fernández, and C. Alberola-Lopez, "Homeomorphic Geometrical Transform for Collision Response in Surgical Simulation", Pattern Recognition and Image Analysis: Springer Berlin Heidelberg, pp. 433–440, 2013. Tristán-Vega, A., S. Aja-Fernández, and C-F. Westin, "Deblurring of probabilistic ODFs in quantitative diffusion MRI", Biomedical Imaging (ISBI), 2012 9th IEEE International Symposium on: IEEE, pp. 932–935, 2012. Tristán-Vega, A., V. García-Pérez, S. Aja-Fernández, and C-F. Westin, "Efficient and robust nonlocal means denoising of MR data based on salient features matching", Computer methods and programs in biomedicine, vol. 105, no. 2: Elsevier, pp. 131–144, 2012. 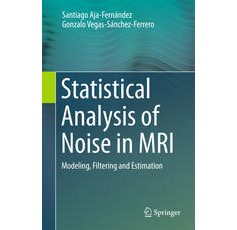 Aja-Fernández, S., and A. Tristán-Vega, "Influence of noise correlation in multiple-coil statistical models with sum of squares reconstruction", Magnetic Resonance in Medicine, vol. 67, no. 2: Wiley Subscription Services, Inc., A Wiley Company, pp. 580–585, 2012. Tristán-Vega, A., S. Aja-Fernández, and C-F. Westin, "Least squares for diffusion tensor estimation revisited: Propagation of uncertainty with Rician and non-Rician signals", NeuroImage, vol. 59, no. 4: Academic Press, pp. 4032–4043, 2012. Casaseca-de-la-Higuera, P., A. Tristán-Vega, S. Aja-Fernández, C. Alberola-Lopez, C-F. Westin, and R. San Jose-Estepar, "Optimal real-time estimation in diffusion tensor imaging", Magnetic resonance imaging, vol. 30, no. 4: Elsevier, pp. 506–517, 2012. Tristán-Vega, A., and V. García-Pérez, "Comments on: A locally constrained radial basis function for registration and warping of images", Pattern Recognition Letters, vol. 32, no. 4, pp. 586 - 589, 2011. Aja-Fernández, S., G. Vegas-Sanchez-Ferrero, and A. Tristán-Vega, "Noise estimation in MR GRAPPA reconstructed data", Biomedical Imaging: From Nano to Macro, 2011 IEEE International Symposium on: IEEE, pp. 1815–1818, 2011. Aja-Fernández, S., A. Tristán-Vega, and W. Scott Hoge, "Statistical noise analysis in GRAPPA using a parametrized noncentral Chi approximation model", Magnetic resonance in medicine, vol. 65, no. 4: Wiley Subscription Services, Inc., A Wiley Company, pp. 1195–1206, 2011. Aja-Fernández, S., G. Vegas-Sanchez-Ferrero, and A. Tristán-Vega, "About the background distribution in MR data: a local variance study", Magnetic resonance imaging, vol. 28, no. 5: Elsevier, pp. 739–752, 2010. Aja-Fernández, S., A. Tristán-Vega, and P. Casaseca-de-la-Higuera, "DWI acquisition schemes and diffusion tensor estimation: a simulation-based study", Engineering in Medicine and Biology Society (EMBC), 2010 Annual International Conference of the IEEE: IEEE, pp. 3317–3320, 2010.